What Does God Look Like? What Does God Act Like? Does It Matter? Since many men saw Jesus, "the only begotten Son" of God, John would be talking about the Father. So we are not, as mere mortals, going to see God nor could we. However, John also says that the Son has declared Him (the Father) or has made Him known. The following verse suggests that the Father and the Son are so similar that, in effect, if you have seen One, you have seen the Other. Since no man has ever seen God (the Father) and we aren't going to see Him anyway there is no point being concerned about the question "what does God look like?". However, what is God like in character is a more relevant question? Our perception of what He is like will affect our attitude towards Him. We can "see" Him by looking at His Son. 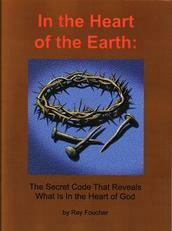 If you have not read chapter one, you can go back there for an introduction to the question of how to know God. "God is light, and in Him is no darkness at all" (1 John 1:5). The human history of Jesus constitutes the complete revelation of God's character available for our study. All that God is, He was. Jesus was "the brightness of His glory," the total statement of God sent forth to touch and bless our world, revealing to us the character of the Father. "For it is the God who commanded the light to shine out of darkness who has shone in our hearts to give the light of the knowledge of the glory [character] of God in the face of Jesus Christ" (Hebrews 1:3; 2 Corinthians 4:6. Also see Exodus 34:6). "I and My Father are one," Jesus said. One in nature, one in purpose, one in will. "He who has seen Me has seen the Father." "He who receives Me receives Him who sent Me" (John 10:30; 14:7-11;13:10). Jesus revealed a creative, redemptive, healing God, who never brought needless pain to a sensitive soul. Even when, in love, He rebuked the leaders of His day, we can almost hear the tears in His voice, as He uttered His scathing words, which, rather than being destructive, were meant to redeem. Startled by His disciples' suggestion that He call down fire upon the Samaritans who had slighted Him, He said, "Ye know not what manner of spirit ye are of" (Luke 9:55). What does this tell us about God? Would the fact that God performed such an act alter its "spirit"? Or is the evil nature of such an act eternally carved in granite - settled at all times, in all places, on all occasions? This event in our Lord's life suggests the latter. Burning humans in the name of religion is always and only the work of an evil spirit; Jesus insists it is not something our loving heavenly Father would do. Jesus healed the ear of Malchus, the high priest's servant, gently rebuking Peter who had severed it with a sword, saying, "Put up again thy sword. . . . All they that take the sword shall perish with the sword" (Matthew 26:52, KJV; also Revelation 13:10). "Love your enemies," He said. "Bless those who curse you, do good to those who hate you, and pray for those who spitefully use you and persecute you." Why? "That you may be sons of your Father in heaven" (Matthew 5:44,45, emphasis supplied). God the Father, Creator of the universe, as Jesus consistently presents Him, does not behave toward His enemies as other portions of Scripture seem to say. In the face of such apparent contradictions, we hear God saying, "Dig a little deeper in the word." Jesus was a man's man who walked great distances on the dusty roads of ancient Palestine- traveling stretches for which we award prizes today, teaching vast multitudes, healing the sick, rebuking demons, standing his ground fearlessly before authority figures, telling them things they didn't want to hear, rising while others slept to spend time with His Father. If ever one were qualified by physical powers to command armies, it was He. Yet He declined the sword of earthly conquest held out to Him and chose instead the path to Calvary. "'You have heard that it was said, 'An eye for an eye and a tooth for a tooth,'" He said. "But I tell you not to resist an evil person. But whoever slaps you on your right cheek, turn the other to him also. If anyone wants to sue you and take away your tunic, let him have your cloak also. And whoever compels you to go one mile, go with him two. Give to him who asks you, and from him who wants to borrow from you do not turn away" (Matthew 5:38-42). Today people of depth and moral substance ponder this Man with awe. Whence came His intimate familiarity with the fine points of greatness? He carried the word of God built into His inner life. "He who is slow to anger is better than the mighty, And he who rules his spirit than he who takes a city" (Proverbs 16:32). Jesus - so sound as a human Being, so full of insight and peace and power - wouldn't descend to self-serving in His daily human interactions. He rose above those common instincts and, in benevolence and warmth toward all, kept on doing right. Some have suggested that Jesus came the first time to show the kindly side of God, that when He returns in glory, He will then demonstrate His justice. However, nothing in the gospel record supports that view. Scripture says Jesus is the same "yesterday, today and forever" and that Deity doesn't change. (Hebrews 13:8; Malachi 3:6). God cannot and will not require humans to adhere to a standard He rejects for Himself. His commandments form not only the foundation of His government in heaven and on earth; they actually depict His character in words (see Psalm 119:172; Jeremiah 23:6;33:16), as a novelist draws the inner life of characters with the pen. The principle which says "Thou shalt not kill," which Jesus expanded to mean Thou shalt not hate or damage in any way, originates in the heart of God. Clearly, both the sixth commandment and the example of Jesus combine to reveal a nondestructive God. This is an indisputable fact. There is a consistency, a harmony, an agreement between the law written down in the ten commandments and the law lived out in His life. It is the destructive events described in Scripture that do not agree. Where two descriptions agree and a third is out of agreement, the obvious problem exists in the one that is out of agreement. The present work proposes to take Scriptural stories attributing destructive behavior to God and to bring them into harmony with the two standards of 1) the sixth commandment and 2) the character of Jesus. It can be done. But anyone who expects a pass for sin is in for a big surprise. Reviewing the life of our Lord from Bethlehem to the Mount of Olives, from which He ascended homeward to heaven, we find no evidence of the inclination to force allegiance to Himself, little we could interpret as destructive. "The Son of Man did not come to destroy men's lives, but to save them" (Luke 9:56). In fact, there was nothing in His life to correspond to a dark or destructive side in God. This no one can deny. Yet the life of Jesus holds insights into God's ultimate plans for dealing with the terrible problem of sin. And far more relevant than we have realized was a behavior of His little commented on up to now. When spurned or subjected to disrespect, He put the class in the strategy of walking away. Where our carnal humanity would wreak a powerful kind of vengeance on our tormentors, He who healed the sick and raised the dead, who had infinite resources at His disposal to deal with any enemy, gave us the example of His gracious habit of departing from where He was unwanted. Jesus showed that God never forces His company on anyone. Time and again He demonstrated this important principle by the manner in which He lived. On one occasion some demons, which He rebuked out of two men, entered swine feeding nearby, causing the animals to rush over a cliff to their doom. This frightened onlookers and enraged the animals' owners. "And behold the whole city came out to meet Jesus. And when they saw Him, they begged Him to withdraw from their region. So He got into a boat, crossed over, and came to His own city" (Matthew 8:34; 9:1; Luke 8:37). No evidence of imposing His presence here unwanted. In this case as in so many others, Christ responds to rejection by departing. Once when He healed on the Sabbath, "The Pharisees went out and began to plot against Him, discussing how to destroy Him. Jesus knew this and withdrew from the district." When He claimed the name "I Am," "they picked up stones to throw at Him, but Jesus hid Himself and left the temple" (Matthew 12:14, 15; Mark 3:6; John 8:59). Jesus' sole response to rejection was to go away. The cross says He would rather die Himself than destroy His creatures. However, He only "departed thence" when the citizens of a region made it clear they didn't want Him. Otherwise, Jesus was the essence of sociability. He longed for the human touch, for human understanding and sympathy, for the warmth of friendship. He attended a wedding and there performed His first miracle by changing water into wine. He held little children on His lap, healed the daughter of an outcast of Israel; beside Jacob's well He spoke publicly with a woman - and a Samaritan at that. He counted His friends among the wealthy and influential as well as among the poor and rejected, the sick and the lame. Whether appealing to His healing power or just sitting down in His loving presence, His friends knew Him as One who understood their need, who sympathized and would never withhold Himself. We may today imagine Him, in His consummate courtesy, listening for our prayerful morning invitation and its hour-by-hour renewal, desirous that the listening universe know He is not encroaching upon our free will when, as our heavenly Guest, He comes in through His Spirit to abide and fellowship with us. Besides revealing God as One who longs for human companionship but who will never force His presence on anyone, Jesus revealed a side of God which has delighted Christians through the centuries. He revealed Himself (and thus the Father) as Master of the Third Option. The Pharisees, Sadducees, Herodians, and all the leadership groups of Christ's day had been enemies for years until He came along. His presence had a unifying effect upon them in their mutual passion to stamp out this heretic and his new faction. Repeatedly they tried to make Him say something of which they could accuse Him. They laid numerous traps for Him, where either way He answered, He lost. It was here, in scenes such as these, that He demonstrated His freedom from the limitations of average thinking. A classic example involved a question they put to Him, "Is it lawful for us to pay taxes to Caesar or not?" There were only two possible answers to this question, right? Yes or No. If Jesus answered Yes, He would thereby express loyalty to the Roman government and alienate Israel, who resented Roman tribute more than anything. But if He said No, He would make Himself unpopular with the Romans, a prospect involving some rather serious consequences. Without hesitation Jesus called for a coin. "Whose inscription do you see?" He asked them. "They answered and said, Caesar's." "Render therefore to Caesar the things that are Caesar's and unto God the things that are God's" (Luke 20:20-26). He not only had a third and better option but in expressing it He declared a timeless principle absolutely vital to human liberty. Thus Christians make the best citizens, civil authority honors the right of the individual to worship God according to his or her own conscience, and peace and harmony exist in society. In one of my favorite episodes of Christ's life, a bright young lawyer, the hope of the Pharisees, dressed for success in the robes and trappings of his station, came out to "test" the master. Religion hasn't changed much through the years, it seems, for during that era various groups were forever arguing one point or other of religious dogma. One discussion centered upon which of the ten commandments was the most important. Therefore any commitment to one of those ten, while it might put you in with some, would put you out with most. And that is precisely the question the young man asked Jesus. "Which is the first commandment of all?" These two young men faced off, Christ in His unpretending peasant's garb, the scribe's robes glittering in the sunlight. Which commandment would Jesus say? It didn't matter. Whatever reply He made would make Him many enemies. "Jesus answered him, 'The first of all the commandments is: . . . You shall love the Lord your God with all your heart, with all your soul, with all your mind and with all your strength. This is the first commandment. And the second, like it, is this: You shall love your neighbor as yourself.' There is no commandment greater than these." Jesus had another option. We may conclude, then, that God has options which we, in our humanness, simply cannot see. "When Jesus saw that he answered wisely, he said to him, 'You are not far from the kingdom of God'" (Mark 12:28-34). What a look of understanding must have passed between them at that moment, when the world's status symbols yielded before the superiority of Christ's humble, heavenly insight! Throughout the life of Jesus, this scenario repeated. He always had another idea. God has more options than we can conceive with our human limitations. Since He is not limited by our finite vision, let us not rule out the possibility that the "dark side" we always thought we saw in Him may yield to a brighter image, after all. Multitudes of eager listeners sat before Him on a vast mountainside. Was He seated near the base and the people spread out above Him on a gradually inclining, grass-covered slope, like the seats in a giant amphitheater? Perhaps the sun shone warmly that day. Perhaps it was spring, with new buds and shoots appearing on the surrounding foliage. Perhaps birds blessed the air with cheerful songs and lilies bloomed, as our Savior began to teach, revealing the kingdom of heaven as a paradoxical land at odds with earthly ways. Blessed are the poor, the meek, the merciful, He said. "Blessed are you when they revile and persecute you, and say all kinds of evil against you falsely for My sake" (Matthew 5:11). Tenderly but firmly, He taught them that earth has little use for much that heaven values. "'You have heard that it was said to those of old, "You shall not murder." and whoever murders will be in danger of the judgment. But I say to you that whoever is angry with his brother without a cause shall be in danger of the judgment'" (Matthew 5:21, 22). Clearly, Jesus meant to discourage not only murder but the emotion that leads to it. He taught that true obedience to the commandments of God requires more than surface work; it requires a principle lodged deep within the inner human spirit. "Without a cause?" What "cause" would Christ consider sufficient to warrant an angry reaction? What kinds of provocations elicited an angry response from Him, thus modeling for us justifiable human anger or destructive behavior? Only three incidents in His entire life offer insights here: Twice He cleansed the temple; once He cursed a fig tree. Similarly, in cursing the fig tree He revealed the opposite of a destructive spirit. Jesus had an insight, which found expression in the things of nature and in all of life around Him. He saw eternal lessons in flowers and birds, in sheep and shepherds. When He sought upon a leafy fig tree fruit to satisfy His hunger and found none, He must have thought to Himself, That's just like . . .
And so He gave the tree human qualities and used it to illustrate a truth of His kingdom. That tree looked like a fig tree. It had leaves like a fig tree, and seemed for all the world like one. But a fig tree bears fruit. Without the fruit it is a worthless pretender. Far from destructive, Jesus came that we might have life and have it more abundantly than we could possibly have it without Him. He planned a greater depth, fullness and quality to life than even most Christians realize. The life He gave involved Him in our own life, and ours in His, in an intimate way strangely unknown in the Christian world. Yet it is the very heart of the gospel. Where known, it is called the Doctrine of Substitution - the higher (no, highest) education of Christendom. Christ's delay in fulfilling His promise to return to this earth may stem from our "illiteracy" regarding this concept and thus our failure to live in it. We cannot confront the dynamics of eternal reward and punishment without understanding this truth. Before I learned this doctrine had a name, Substitution, I called it "Identification," and I am still not convinced that mine is not the better title, since the concept involves Christ's absolute and full identification with those He came to save and our absolute and full identification with Him in His humanity. What would make such intimate connection essential in the plan of redemption? Let's say a young man commits a crime for which the compulsory penalty is death. But his mother loves him and appeals to the judge to allow her to pay the price for his crime. How would the judge respond? "Mother," he might say, "I can see you deeply love your son. But I am not authorized to pass his sentence on to you. The punishment is always attached to the crime. It is called 'consequences.' If he does the crime and you take the consequences, justice will be turned on its ear. No, I am sorry. It cannot be done." Scripture itself recognizes this principle in Deuteronomy 24:16 (See also Ezekiel 18:20). In like manner, neither is God authorized to pass the penalty of transgression on to Anyone - except the guilty party. If the plan of redemption were to work, a way had to be found in which to amalgamate the sinner with the Sin Bearer, the human with the divine. When Jesus came to live and die upon this earth, He did not merely come for us or on our behalf; oh, no. He came "as us." This distinction involves more than semantic hair splitting. When God looked at Him, He saw me; He saw you. In fact, in the Father's sight Christ was the corporate human. He came as every person born into this world. Though He never ceased to be God, Scripture says He "emptied Himself" (Philippians 2:7, JB) of His divine powers and privileges, retaining only His power to forgive sin, and walked the earth fully human, as you and I must walk it, and experienced life as we experience it. Had He not fully identified with fallen humanity, not fully become human (except that He didn't sin), Satan would have been the first to cry "foul!" when God accepted His substitutionary life and death for this world. The enemy would have charged that the achievements of a Superior Being could not fairly substitute for the failures of a fallen one. When we sanitize Christ's humanity, allegedly to honor and glorify Him, it frankly does the opposite. It obscures our understanding of the magnificence of His performance as the Lamb of God. It knocks a few rungs off the bottom of the heavenly ladder, preventing it from reaching down to you and me. Our Master took upon His divinity our fallen human nature . As one of us, and with our human equipment, He lived out for us a perfect history and a perfect example, leaving the enemy no legitimate ground on which to challenge the Atonement. If Jesus had possessed any advantage over us in achieving this triumph, it would have disqualified Him as our Redeemer, and Satan would have exulted. Heaven could not credit His victory to us, unless He came in our shoes. But what may be even less known is that the gift of eternal life He brought comes only with Himself. He said, "Unless you eat the flesh of the Son of Man and drink His blood, you have no life in you" (John 6:53). Jesus made it clear in this passage that His flesh and blood were His words, and their power to bring Him through the Holy Spirit into human lives as a living though invisible reality. Through that presence He would change our thinking into paths unknown upon earth, but fully known in the kingdom of God. Only thus can we be holy, for it is His holiness. Only thus can we be truly wise, in His wisdom. Only thus can we, lost sinners, cease to sin. Never will we be anything but lost sinners, except In Him and the righteousness He brings to us. The human Jesus could not live righteously of Himself. "The Son can do nothing of Himself"; "the Father who dwells in Me does the works" (John 5:19; 14:10). Fallen humanity cannot be righteous, but Christ was righteous in the fallen humanity He took. What was the secret of His power? It appears the Father lived in Him by the divine Spirit. He, like his cousin, John the Baptist, was filled with the Holy Ghost from before his birth (See Luke 1:15). But unlike John, Jesus' enjoyed unbroken union with the Holy Spirit. This connection enabled Him to live above the clamors of the fallen humanity He assumed in the Incarnation. True, it was borrowed but true righteousness nonetheless. And not only did Christ require this union to maintain a victorious humanity, it is a connection available to and vital for humans who would be saved. "If when we were enemies we were reconciled to God through the death of His Son, much more, having been reconciled, we shall be saved by His life [in us]" (Romans 5:10). He, as the corporate human, showed us that holiness for humans takes two, God and us. If we as Christians have failed to live up to God's standard, it is because we have failed to understand our desperate and ceaseless need for the living presence of Jesus Christ, through His Spirit and His word, in our lives every moment of every day. Right living, right doing, righteousness, holiness?these belong only to God. Humans have access to them only while living in Him, consciously aware of His abiding presence. Since Christ's return to heaven, He has sent the Holy Spirit as His representative to be our personal Companion, just as He came representing the Father and as the Holy Spirit represented the Father in Him. We cannot accept His gift of salvation without accepting Him, in the person of His Spirit, to walk with us and be Master of our soul day by day. Through Scripture He counsels us of His will, but our victory as Christians, our power to do right, centers on staying in communion companionship with Him, for it is this union, this connection, that saves. When we realize His presence, Scripture provides the knowledge and He provides the power to do right. It is then possible to do right and hard to do wrong, for who would not do right in His presence? In saving oneness with Him, conscious, always conscious of His nearness, the sharp edges disappear from righteous living, and the "beauty of [His] holiness" appears (Psalm 96:9). But He has done more. "God, who is rich in mercy, because of His great love with which He loved us, even when we were dead in trespasses [He provided for us before we chose to follow Him], made us alive together with Christ (by grace you have been saved), and raised us up together, and made us sit together in heavenly places in Christ Jesus, that in the ages to come He might show the exceeding riches of His grace in His kindness toward us in Christ Jesus" (Ephesians 2:4-7). We were in Christ in His earthly life, in His death, and those who consent to hide their lives in Him He will finally exalt to eternal heavenly places. But we may so fully enter into our Lord's life only because He so fully entered into ours. We have sinned, and the Bible says, "The wages of sin is death" (Romans 6:23). In order to be fully ethical and demonstrate the consistency and predictability essential to the security of His creatures, God must fulfill His word. Somebody had to die for our sins. Ordinarily, it would be us. But God had another idea. In order to understand how God intends to deal with sin, we must look at how He dealt with His own Son, Jesus Christ, the great Sin-bearer. Jesus laid aside His divine privileges and lived, as we may live, in the Father through the Spirit during His pilgrimage on earth. His was a constant companionship, a constant communion and fellowship with the Father, until about the time He entered the Garden of Gethsemane, when the sins of a rebel world began to roll upon Him. Still in His role as the corporate human, a change began. At this point, as the apostle Paul said, God made Him to be sin for us (2 Corinthians 5:21). Since Jesus lived as one of us, He also died as one of us. He took my death and yours. Whereas He took the death penalty for the entire human race, most people (sadly and unnecessarily) will insist upon receiving their own penalty. Therefore, Christ's death holds insights into the nature of the final destruction of the lost. God could not allow the death of Christ to be one way and the death of everyone else to be another way and still apply Christ's death to the account of the saved. They must be equal, in nature rather than circumstances. God the Father's role must be the same in both cases. Christ's death was the sinner's death. But God did not come down to the cross and personally execute Him. Rather, when the sins of the world rolled on Jesus in Gethsemane, the sense of His Father's presence began to recede. God the Father now treated His Son as a lost sinner, deprived Him of the sense of His sustaining nearness, drawing forth from His wounded heart the anguished cry from the cross, "My God, my God, why hast thou forsaken me?" (Matthew 27:47; Mark 15:34, KJV). Though sinless still, He bore the sin of a world and the Father's drawing away from that sin. Just as human rejection caused Christ to withdraw in His earthly life, His role as the Embodiment of sinful rebellion against God caused the Father to withdraw from Him in Gethsemane and on Calvary. But God never touched Him in cruel violence. Rather, He withdrew from His Son (now Sin Personified) and released Him into the hands of the destructive forces surrounding Him. Those forces had followed Christ from His earliest moments but always without success until now, when God "made Him to be sin for us" and let Him go. Who Delivered Christ to Die? Significantly, Pilate also "delivered" Christ to be crucified. But not before our Lord informed the proud ruler he would have no power to do this if God did not allow it (John 19:11). There can be no question that God's role in the punishment of the Sin-bearer was to withdraw and hand him over or release him to the power of destruction, but not to perform the execution itself. . . . Even though He says He did! Jesus claims these words as a prophecy of Himself: "Then Jesus said to them [His disciples], 'all of you will be made to stumble because of Me this night, for it is written: I will strike the Shepherd, and the sheep of the flock will be scattered'" (Matthew 26:32; Mark 14:27). Both Father and Son agree; God claims to "strike" Christ, although we would certainly not describe it that way. The Old Testament prophecy from which He quotes also suggests use of a "sword," or violence, "Against the Man who is My Companion," a clear reference to the intimacy of relationship between Father and Son. Yes, Christ died violently, but we would not say by His Father's hand. In Isaiah 53, universally accepted within Christendom as a Messianic prophecy, Scripture says, "Surely He has borne our griefs and carried our sorrows; yet we esteemed Him stricken, smitten of God and afflicted" (v. 4). Does God consider the removal of Himself from humans as an act of aggression against them? Christ, the corporate human, died when God withdrew from Him and released Him to destruction. Yet God insists He "struck" His Son. Is this how God strikes? By withdrawing and releasing humans to the destructive forces around them? Would this model fit other situations? And if it would, why would God choose to describe Himself as the agent of execution? In searching Christ's life for clues of God's role in the punishment of sinners, we find one incident particularly meaningful. For centuries God had sent prophets to Israel to warn them of the consequences of their entrenched rebellion against heaven and to plead with them to repent. But, as Christ sat upon a colt on Olivet's brow one of the last evenings before His death, He looked out over the beautiful city of Jerusalem and wept, because He knew the people would shortly seal their centuries-long rejection of heaven through His own crucifixion. He saw the armies of Titus besiege the city some forty years hence, saw indescribable woe descend upon the people, saw the temple of God in flames unquenchable through any human effort. And He saw more. He knew the interplay of invisible forces that would finally open the door to this catastrophe, and He wept. His thoughts found expression soon in a confrontation with the nation's religious leaders. "O Jerusalem, Jerusalem, the one who kills the prophets and stones those who are sent to her! How often I wanted to gather your children together, as a hen gathers her chicks, under her wings, but you were not willing" (Matthew 23:37). Jerusalem perished when she, through Christ's crucifixion, abandoned connection with God. The symbol of a protecting parent bird, usually an eagle, spreading wings over its young, abounds in Scripture, denoting the relationship between God and His people and their dependence upon the heavenly provision available only in that connection. It is perhaps the nearest heaven can come to describing invisible realities in human language. But it is by no means the only symbol in Scripture clearly representing this same truth. Chapter two, God's Perfect Portrait, has helped to answer the question "what does God look like?" Jesus, who said "I and my Father are one." (John 10:30) knows the Father perfectly and can and did in, His life on earth, paint a perfect portrait of God. Here is another question that many have brought up over the years: "Where did Jesus go when He died? This has been greatly misunderstood. Well, read on to chapter 3 to learn about Jesus in the grave and have your questions answered.